Perfect for smoothies, dips, soups, sauces and more, the Simple Blend 100 helps with everyday meals and snacks. With amazing ice crushing power, you can take ice from cubed to crushed in seconds. Enjoy chunk-free smoothies and shakes, grind coffee beans, puree fresh vegetable soup, shred and grate cheese for pizza, tacos, salads and more. You can create your favorite recipes fresher and easier with 12 speed versatility. The blending motor is built with a boost of extra power at start-up with 700 watts, moving ingredients down into a spiraling vortex. For easy cleaning, the BPA-free plastic blending jar provides peace of mind and is dishwasher safe. 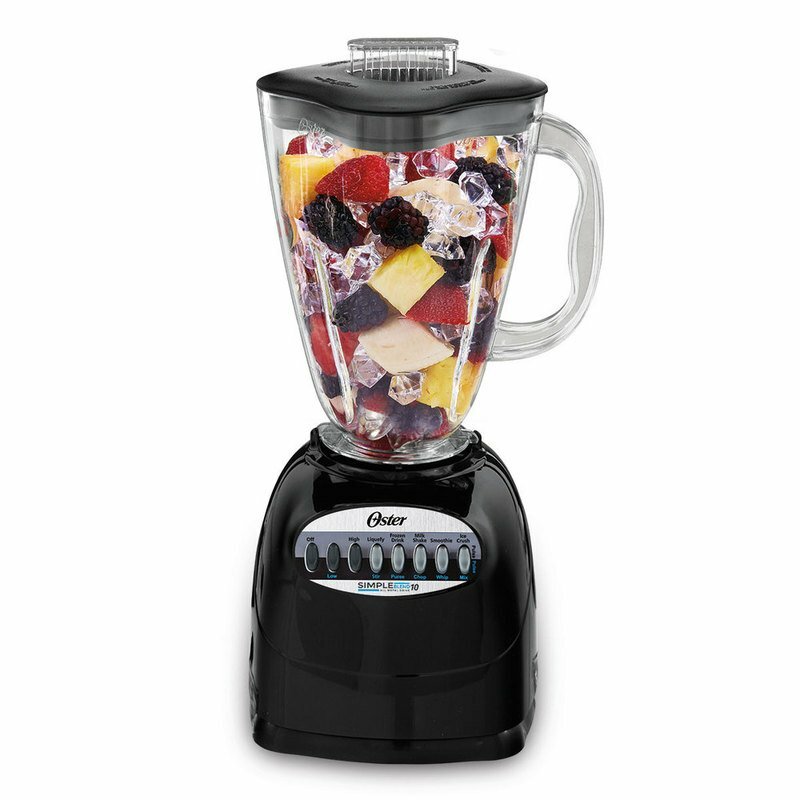 All Metal Drive provides lasting durability to blend smoothie after smoothie, year after year. Dimensions: 15.5" x 7.75" x 6.5"